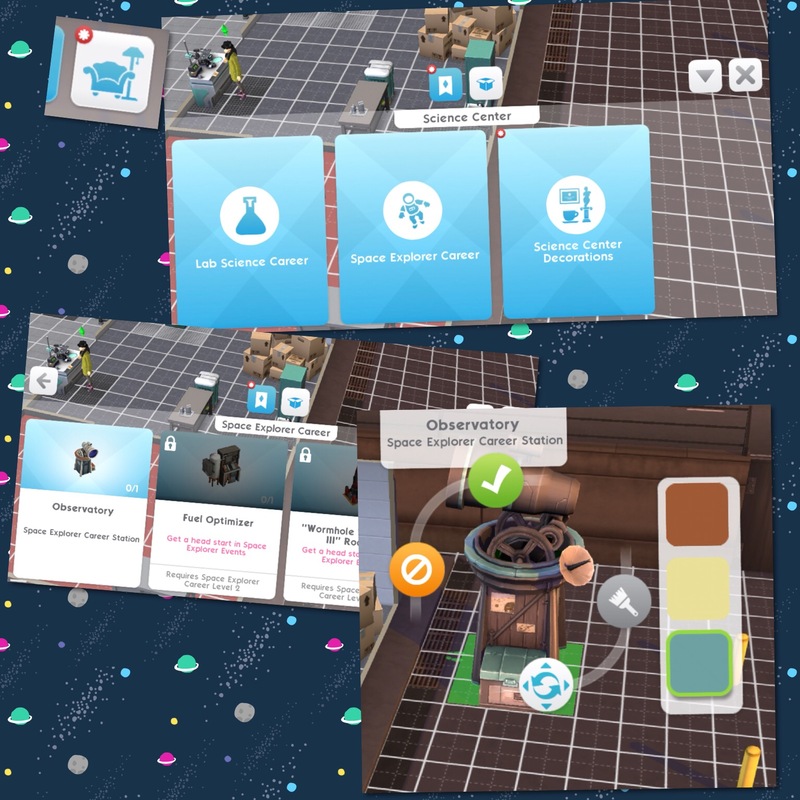 Once placed build the Science Center if you haven’t already (using it in this quest doesn’t unlock it once the quest is complete you still have to buy it) then go to buy mode at the science center and click on space explorer career. 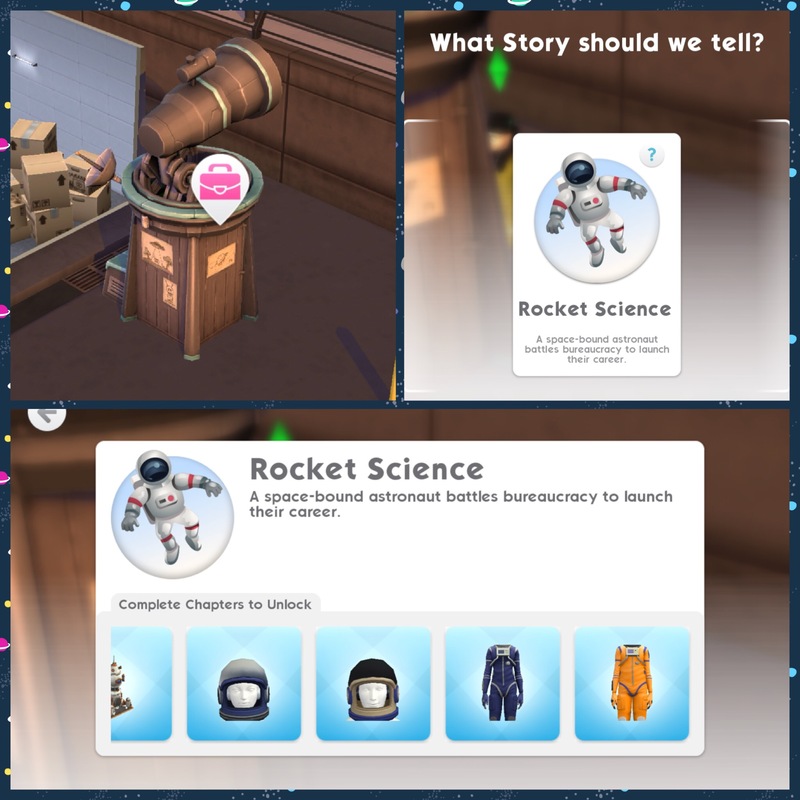 Once placed click on the pink suitcase on the observatory and then it will ask you what story should we tell, the only option is Rocket Science so click that to begin this career! 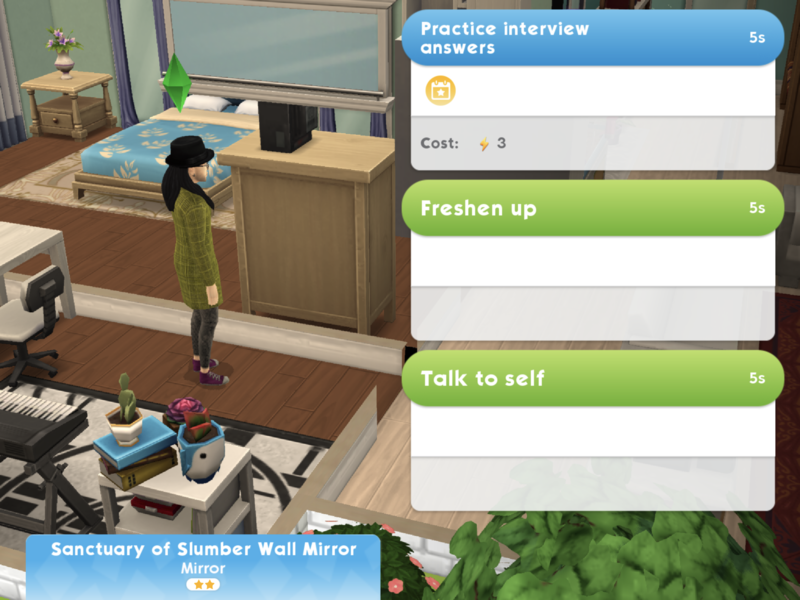 The prizes for completing story chapters in this career including spacesuits which is cool! 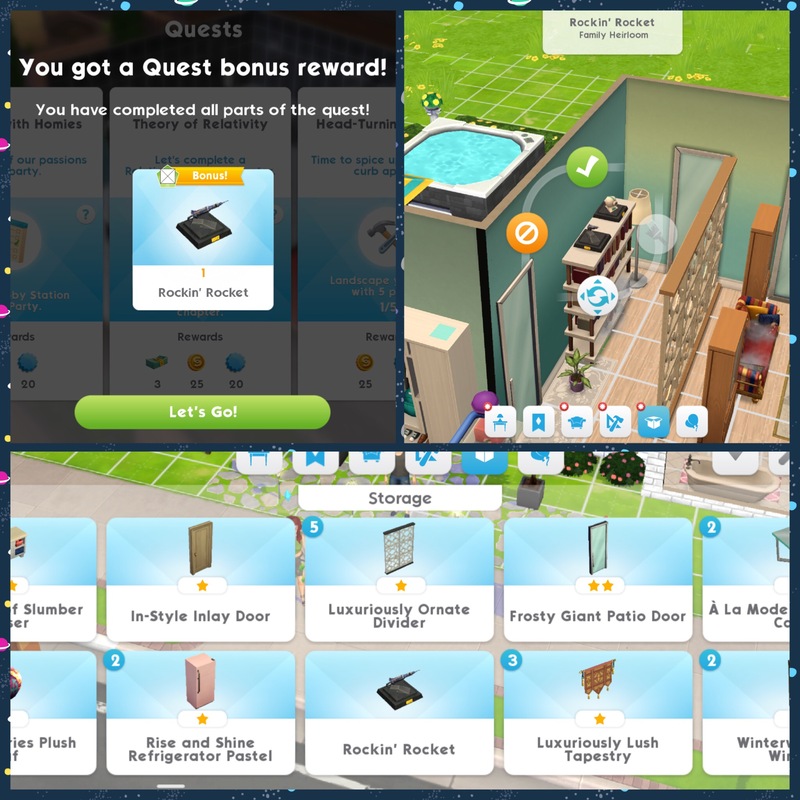 Personally I preferred this quest since LlamaZoom has been introduced, having to complete the daily to do list several times in a quest was annoying as we had to wait before we could do it again, there is less waiting with the LlamaZoom so that is better but it was still very repetitive with the same tasks over and over in the rest of the quest.